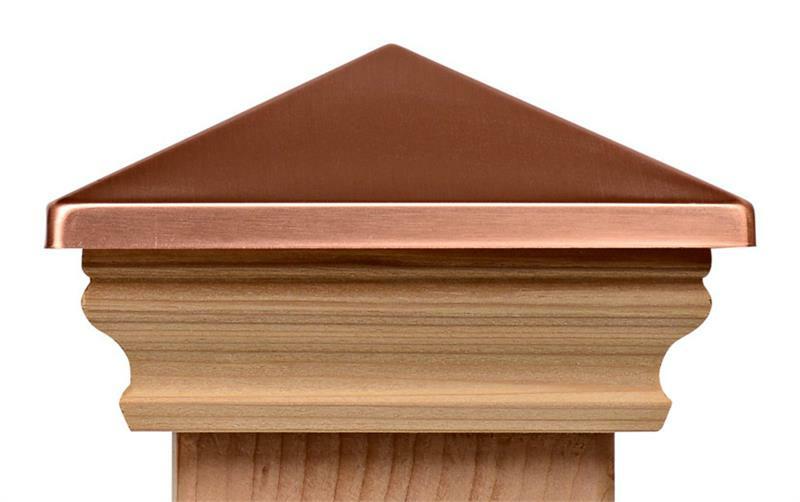 Nantucket Cambridge Copper Top slip-over cap is available with high quality western red cedar or redwood skirt molding. Available in 17 different sizes from 3 1/2" to 10" (see options using the dropboxes above). All post cap sizes have an inside pocket depth of 1 1/2". MADE IN THE U.S.A. All Nantucket items ship out via UPS Ground within 48 hrs or less.